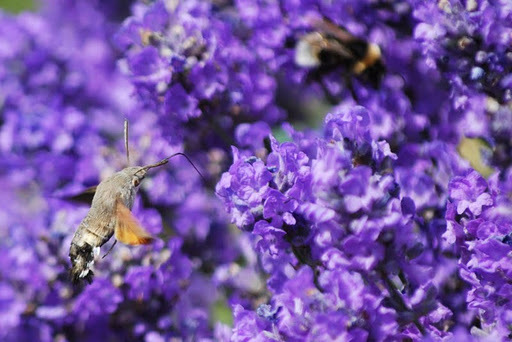 About four years ago, whilst walking around my garden, I saw my first Humming-Bird Hawk-Moth (Macroglossum stellatarum). 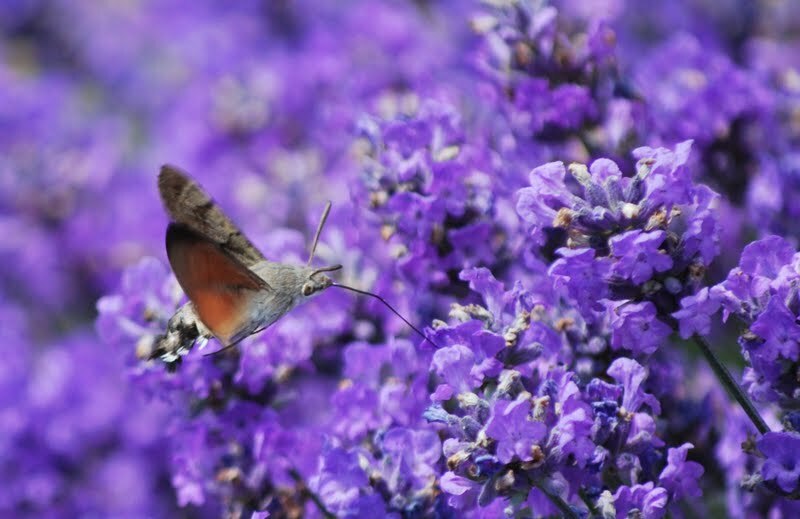 It was early evening and it was feeding on some verbena bonariensis. Since then I’ve been very, very keen to see another. And perhaps, manage to photograph one. Whilst mowing today and not really thinking about anything much (except what I might have for my tea), I passed a lavender plant. and excitement I saw one. I leapt like a gazelle for my camera (a wheezing, not very svelte gazelle) and managed to get a few shots of this nippy little chap. He’s fast! 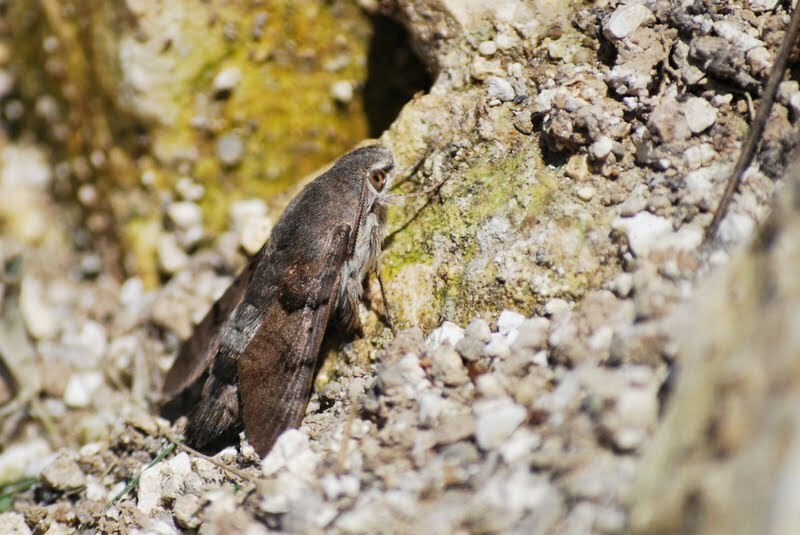 Though they have been known to overwinter in the UK, most Humming-Bird Hawk-Moths migrate here from the Mediterranean. Which I just think is incredible. A moth!! From the Med!! Funnily, enough I’d noticed earlier how much bedstraw was flowering and have since learnt that the moth’s caterpillars feed on yes, bedstraw. Came across him again a little later. 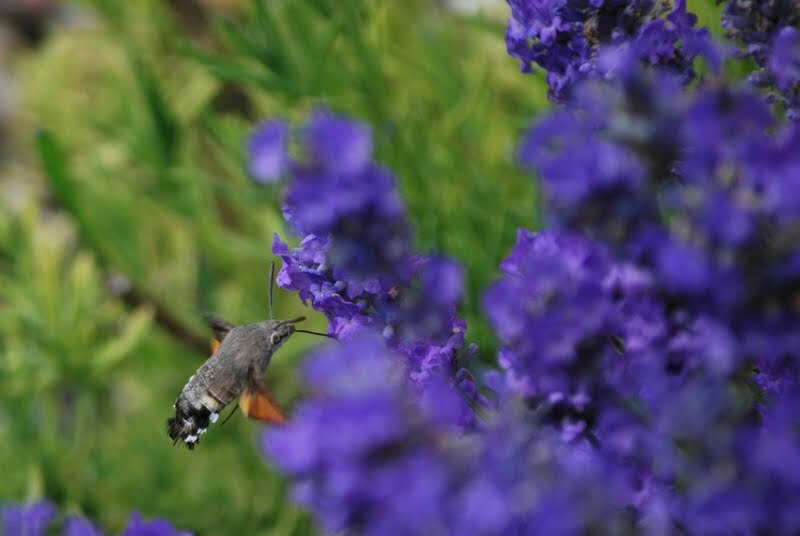 Without the flash of orange under his wing and his swift darting (humming bird like) motion he’s quite unremarkable. I assumed when I took these photos back in June that I would see lots more hbhm's. But no – to date that is still the only one this year. 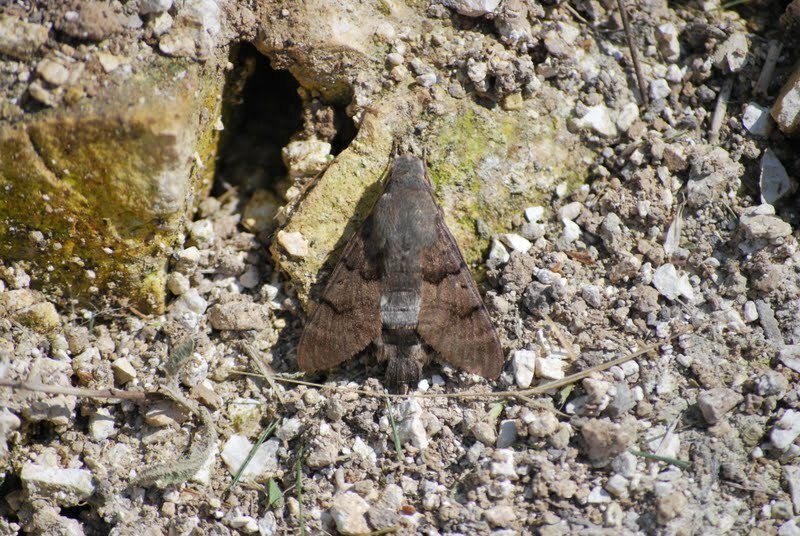 I've never seen one of these moths except on other people's blogs. I thought we were too far north for them here but someone told me yesterday that they had seen one in the local garden. (stately home of course, they are obviously discerning) brilliant photos! Hey Dan, thank you. Right place, right time. 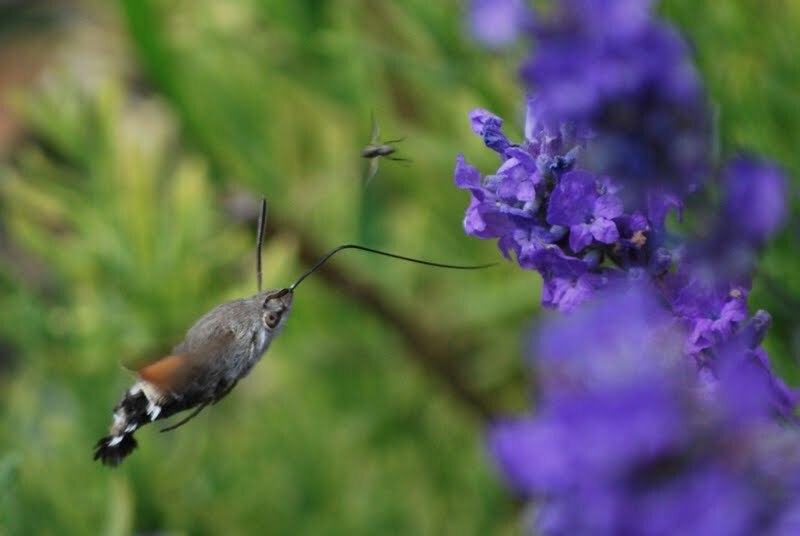 incredible photography of the humming bird hawk-moth in flight! 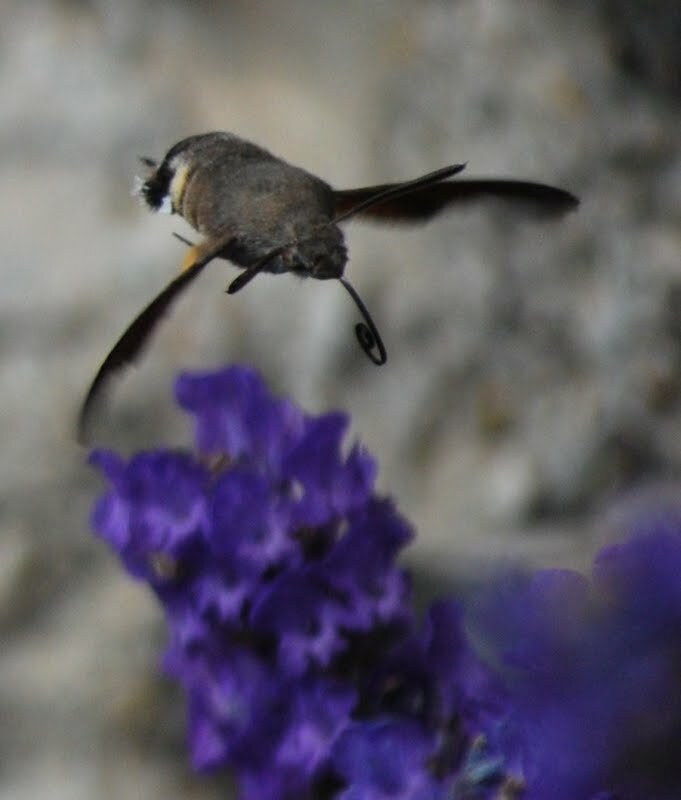 Hi GS, I know we can't have everything that everybody else has but I am a liitle sad that we don't have hummingbirds in the UK. The moth almost makes up for that though. Hi Stacy, I should have videoed it – they're so sprightly despite the titchy wings! And where does the tongue go, indeed? A real mystery for our times. White-lined sphinx moths come and pollinate my agastache in the late summer. 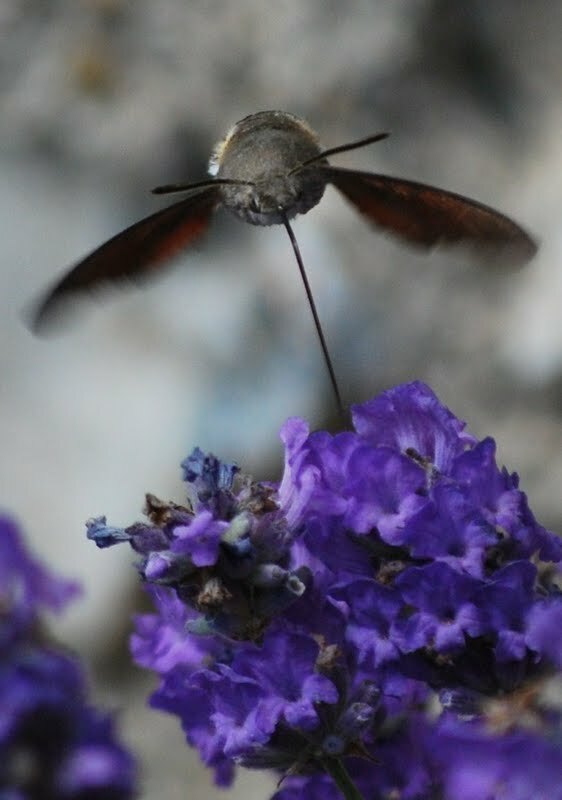 The first time I saw one I thought it was the smallest hummingbird of all time, but subsequently learned it was a moth. Hi Diana, thanks so much for your comment but do you know what? I haven't the foggiest idea what you mean. I've scratched my head, looked at your latest post, looked at your comment and scratched my head again. Nope, no idea. But I do thank you. Chuckle. Sorry. I'm probably being dense. Thanks Cathy and Steve, it was a little beauty. Fascinating little creature and fabulous photography!